Another Christmas cookie recipe for you, and the last recipe of the year! 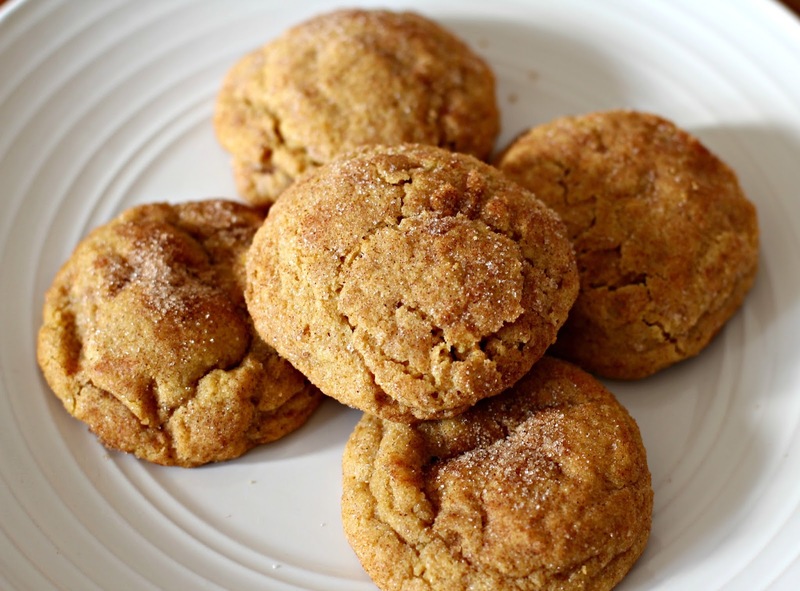 These pumpkin snickerdoodles were really, really good, and I highly recommend you make them. Even if you think pumpkin season is over and you're sick of the stuff. These cookies were so soft and crinkly, and perfectly spiced. 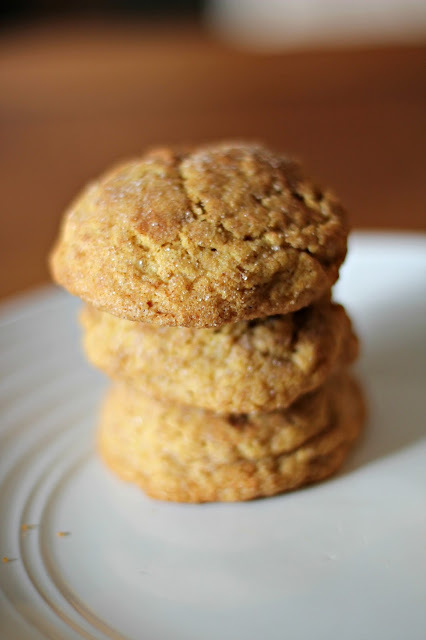 I love a good snickerdoodle... they're definitely in my top five favorite cookies. 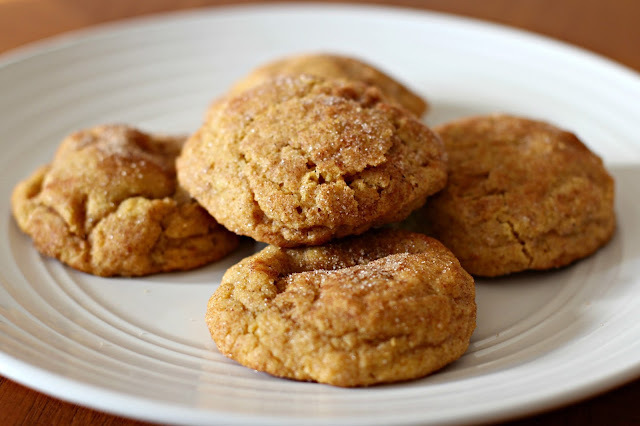 This recipe is your typical snickerdoodle recipe, except made with pumpkin puree and more spices. I hope you like them! Thanks for stopping by and reading through all the years. Happy holidays to everyone! In a medium mixing bowl, sift together flour, cornstarch, cream of tartar, baking soda, baking powder, salt, cinnamon, ginger, nutmeg and allspice. In a large mixing bowl, using a mixer on medium speed, beat together granulated sugar, brown sugar and butter until soft and creamy. Beat in egg yolk, pumpkin and vanilla until well combined. Reduce mixer speed to low and beat in dry ingredients until just combined. Chill dough in refrigerator 1 hour. Roll heaping tablespoons of dough into balls, roll in cinnamon sugar, and place on cookie sheets, spacing about 1 inch apart. Bake 12 minutes or until firm and set. Cool 2 minutes before transferring to wire racks. 6 comments on "Pumpkin Snickerdoodles"
Pumpkin out of season?!? How could that be?? I hope you have a great holiday season and get to eat too much and see all your special people. 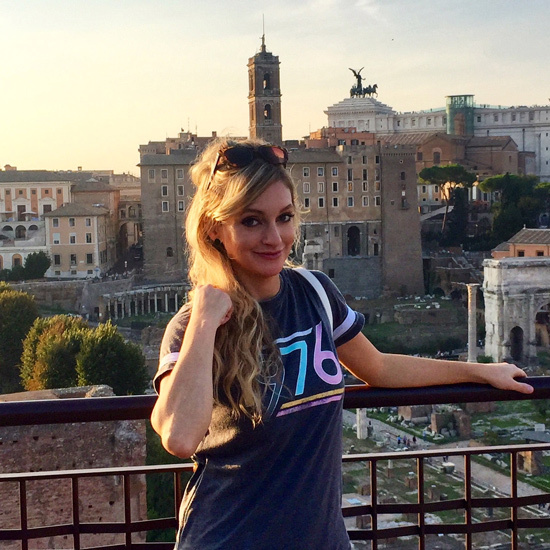 Thanks for sharing all your amazing work with us. Hope you had a good holiday season, Linda! These look great! I hope you had happy holidays, and wishing you all the best for the coming year.